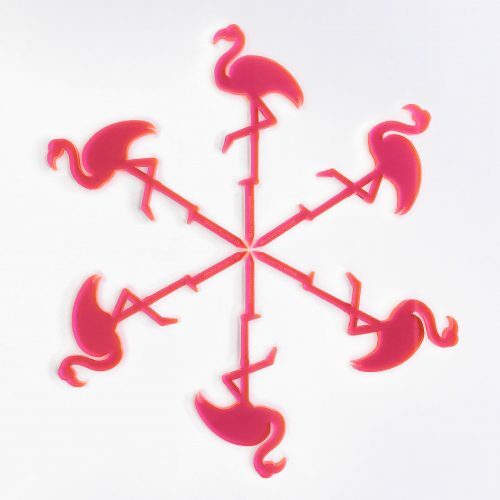 Set of six Flamingo Cupcake Toppers. Our Flamingo Cupcake Topper Set comes in a pack of six. 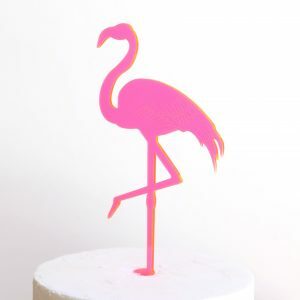 Perfect for summer and tropical themed celebrations! Please remember these cupcake toppers are not toys. 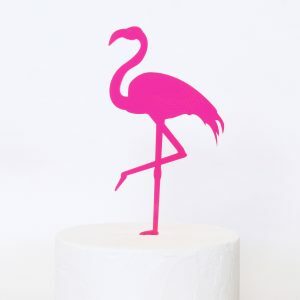 Our cupcake toppers are precision cut from sturdy materials but the design may mean that it is fragile. We recommend you always insert your topper into the cake by holding the spike. If your fondant covered cake has hardened somewhat then consider piercing the surface first before inserting the spike.